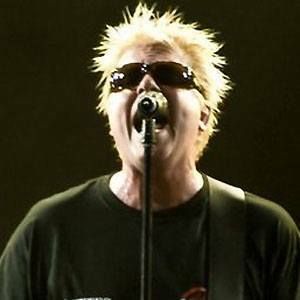 American musician best known as the lead singer and guitarist of California punk rock band The Offspring. In 2017 he graduated from USC with his Ph.D. after writing a thesis on HIV-AIDS. He and The Offspring have won many OC Awards in categories like Best Album, Best Song, and Best Punk. He was married to Kristine Luna from 1995 until 2012 and they had a daughter named Lex Land. He is joined by guitarist Kevin Wasserman, AKA Noodles in The Offspring.